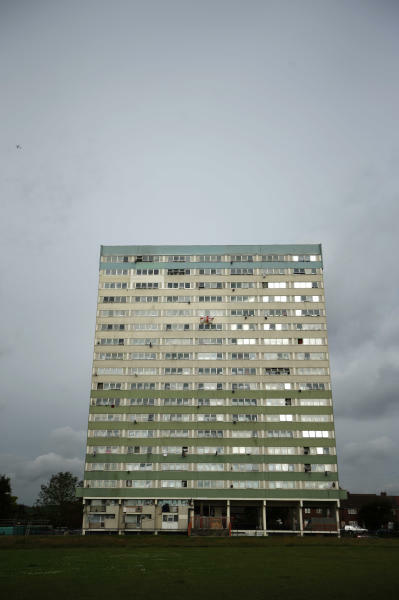 LONDON (AP) — It has been a tough few months at the pockmarked concrete high-rise known as Fred Wigg Tower. First there was the fire, which left dozens temporarily homeless. Then came the rash of burglaries of fire-damaged apartments. And now the British army will be putting a battery of high-velocity missiles on the roof. The defense ministry says the missiles, capable of shooting down a hijacked aircraft, are a key piece in the elaborate jigsaw of security for the London Olympics, which start July 27. 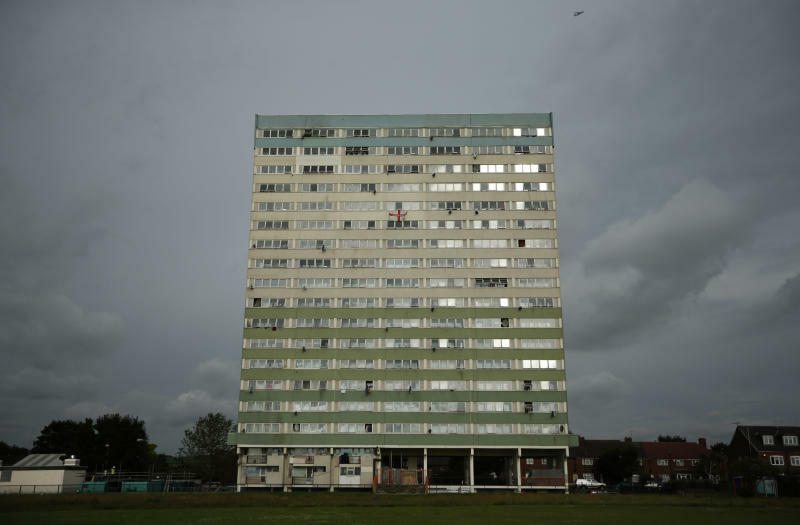 But many residents of the east London public housing project were dismayed to find themselves suddenly on the counterterrorism front line. "It's kind of scary now, to be honest," said Iqbal Hossain, who lives in the building with his wife and three children aged 2 to 14. "If it's about safety for the Olympics, what about safety for us? If there is a terrorist attack, the first thing they are going to attack is the missiles." A High Court judge rejected that argument Tuesday, quashing a challenge by locals. Judge Charles Haddon-Cave said the missiles presented "no real threat" to residents and were a necessary part of Olympic security. The missiles will be installed within days on the 17-story tower, one of six sites around London where surface-to-air missiles will be stationed as part of a vast security operation for games that run through Aug. 12. Rapier or smaller high-velocity missiles also will be located atop another apartment building, at a reservoir and on farmland in east London, and along hillsides in the south of the city. It's all part of a ring of steel protecting the games, which officials acknowledge are a tempting target for terrorists. The security operation includes 7,500 soldiers, thousands of police and 13,200 private security guards, as well as RAF fighter jets on standby at nearby air bases and a helicopter carrier moored on the River Thames. Defense Secretary Philip Hammond has said the precautions are intended to provide "both reassurance and a powerful deterrent." Londoners have long lived with the threat of terrorism. Since the 1970s, the city has seen deadly attacks by Irish militants, by a far-right extremist who targeted gay people and ethnic minorities, and by al-Qaida-inspired suicide bombers who killed 52 commuters on the transit system in July 2005. Britain's official terror threat level stands at substantial, the middle point on a five-point scale, indicating an attack is a strong possibility. Still, the ranking is lower than it has been for much of the time since the July 2005 attacks. Intelligence officials say there has been an expected increase in chatter among extremist groups ahead of the Olympics but they have uncovered no specific or credible threats to the games. But security services are being especially vigilant as the games approach. Over the past week, 14 people have been arrested on suspicion of terrorist activity, although police insist none of the cases is linked to the Summer Games. Three men from central England appeared in a London court Tuesday, charged with making a homemade bomb and plotting a terrorist attack, after a search of an impounded car turned up guns and other weapons. Fred Wigg Tower is one of two 1960s public housing towers on an otherwise low-rise street, and its appeal to the Ministry of Defense is obvious. The upper floors and roof offer an unimpeded view over east London, the Canary Wharf business district and the Olympic Park, about 2 miles (3 kilometers) away. Residents, many of whom have young children, are upset that they were not consulted on the decision to install the missiles, which was made in secret by the government, the landowner and the local council. They only knew of the plans when they got leaflets through their doors in April. David Forsdick, a lawyer for the Ministry of Defense, said the government is not obliged to consult residents on issues involving national security. Local lawmaker John Cryer has suggested the residents — many of them recent immigrants who speak English as a second language — are being pushed around because they live in public housing. He said he wondered whether a similar deployment would take place in "a leafy, middle-class area." Yet leafy, middle-class Blackheath in south London is getting missiles on its common, and another building whose roof is being used is a gated development full of young professionals. Ground-to-air missiles have become a fixture of Olympic games and other large VIP events in the post-9/11 world, but a lawyer for the tenants said putting deadly weapons in densely populated areas without residents' consent was a dangerous new development. "We have always believed that an Englishman's home was his castle, not a forward operating base," said attorney David Enright. "The clear implication of today's judgment is that the Ministry of Defense now has the power to militarize the private homes of any person in Britain, so long as they can demonstrate that there is, in their view, a matter of national security." Among many residents at Fred Wigg Tower, there's a feeling of resignation. "I think they have to put (them) somewhere," said Edita Younas, walking her children back from a nearby school. "But why does it have to be us?" And for some residents, the prospect of the missiles comes as a relief. 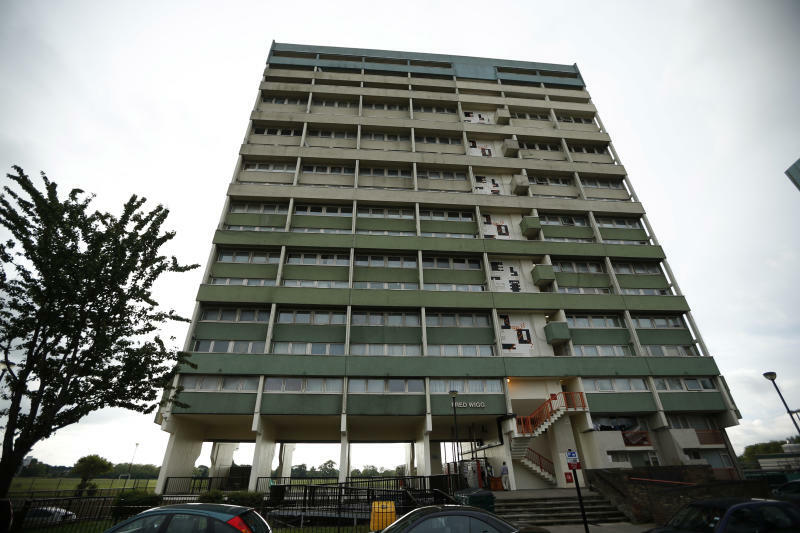 The tower has had its share of problems, including a fire in December that destroyed several apartments and forced dozens of residents to flee. Two months later, burglars stole possessions from the still-unoccupied apartments. "This place is sometimes a war zone," said a woman who declined to give her name — for fear, she said, of "bullies" in the building. "People come and do whatever they want. At least for six weeks we are going to have some peace and quiet."